You will then deal directly with your host Richard. We will endeavour to answer you within 12 hours. 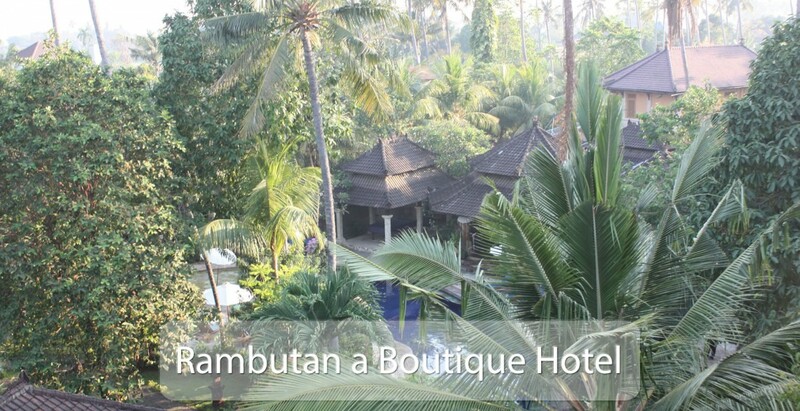 Postal address: PO box 195 Singaraja, Bali, Indonesia. 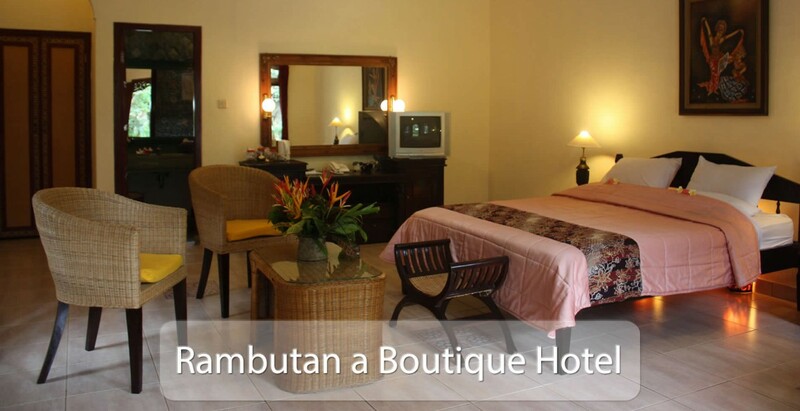 Hotel address: Rambutan, Kalibukbuk, Lovina, Bali, Indonesia. 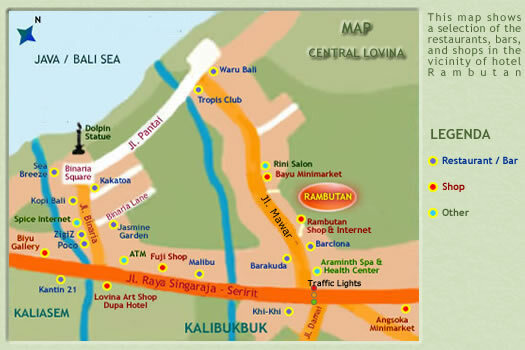 Turn toward the beach at the traffic light intersection of Lovina- Kalibukbuk and we are the first hotel on the right. Please give us your preferences of room. Ground floor or second floor. Close to restaurant and pool, or in a more secluded area. Indonesia gives most western countries a visa on arrival that lasts 30 days and is free The 30 days includes the day you arrive and the day you leave and you can’t extend this visa. 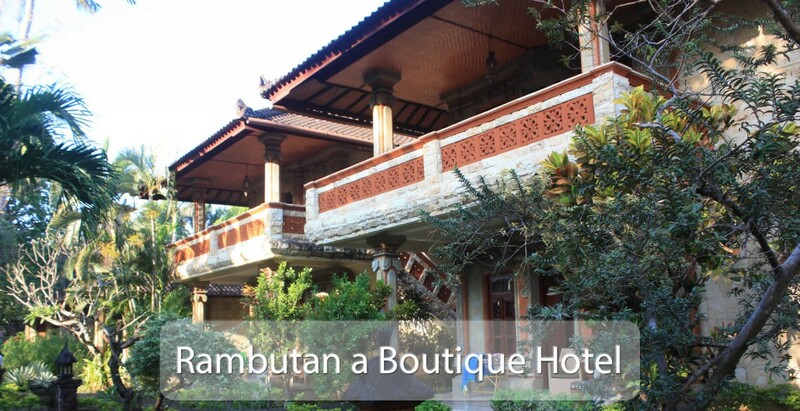 You can apply for a 60 day visa before leaving at an Indonesian consulate, or Embassy. ATM’s are readily available in major towns in Bali including lovina. 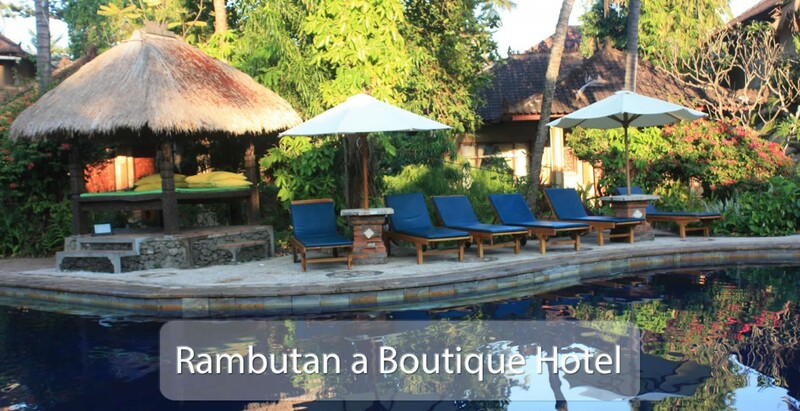 Lovina is a 3 to 4 hour drive from the airport. If you want us to pick you up you are welcome to make it into a tour and stop off at the various places of interest. Passports must have at least six months validity otherwise you will be refused entrance onto the plane or entry to Indonesia on arrival.